We all watched as two major hurricanes devastated some of the most bucolic Caribbean Islands and parts of Key West. 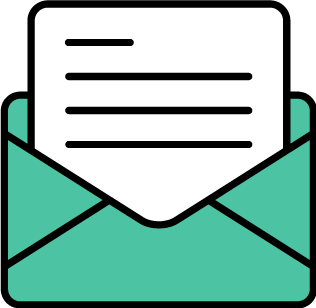 For Dominica, Puerto Rico, St. Martin, Turks and Caicos, and the U.S. Virgin Islands, palm trees toppled, hotels were damaged, and infrastructure destroyed. For now, tourism is a no-go in these places. So what do you do if you have cancelled reservations or were hoping to vacation on one of these islands? 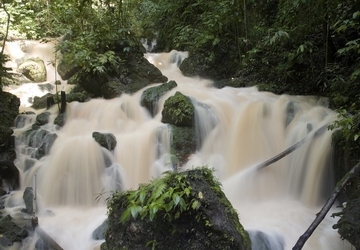 Where do you go if you want a warm weather getaway? While many of the Caribbean Islands received extensive damage or were totally destroyed by the hurricanes, there are still some that were untouched. Sunset at the Palms: The resort is an adults-only retreat nestled among tropical gardens and flowering plants at the edge of Negril. This all-inclusive resort offers 85 “treehouse-style” elegantly appointed guestrooms and suites. Half-Moon: The resort is set on 400 acres of manicured grounds with two miles of beachfront. It has rooms, suites and villas. Play golf on a championship course, horseback ride, play tennis, lounge on the beach, and enjoy Sugar Mill, awarded as Jamaica’s best restaurant. Rosewood Tucker’s Point : The resort sits on Bermuda’s largest private beach. Guests enjoy a championship golf course, tennis, a beach club, SCUBA diving, snorkeling, kayaking, and more. Fairmont Southampton The resort is perched on Bermuda’s stunning south shore with miles of pink sand beaches and sits on nearly 100 acres, dotted with lush bougainvillea and towering coconut palms. Golf, play tennis, swim, dine, and relax at Willow Stream Spa. You might not want to plan a vacation in the Keys, but there are many parts of Florida with palm trees and ocean beaches for vacationing. Palm Beach: The area offers vibrant nightlife, shopping, great dining, hiking biking, golfing, water sports, and luxury spa. Four Seasons Resort Palm Beach The resort is nestled on an expansive beach. 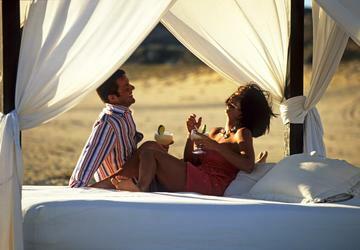 Swim, stretch out on the beach, bike, play tennis, enjoy water sports, be pampered at the spa, and enjoy fine dining. Fort Lauderdale: The area has 23 miles of beaches and offers visitors a sophisticated city that has a diverse set of arts and cultural events as well as a vibrant culinary scene and energetic nightlife. 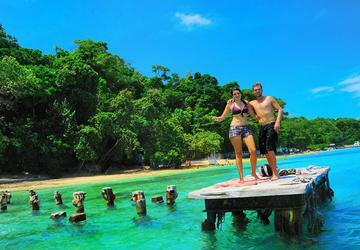 There are a myriad of water activities including everything from sailing and swimming to deep-sea fishing. Fort Lauderdale Marriott Harbor Beach Resort & Spa This oceanfront hotel offers guests a quarter-mile private beach, a lagoon pool, a spa to pamper yourself, and the Atlantic for great water sports. 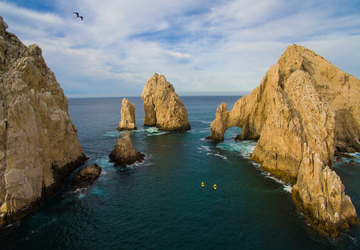 From the Caribbean Sea to the Baja California Peninsula surrounded by the magnificence of the Sea of Cortez and Pacific Ocean, Mexico offers beautiful beaches, warm waters, and a myriad of fun activities. And there is no shortage of all-inclusive resorts. 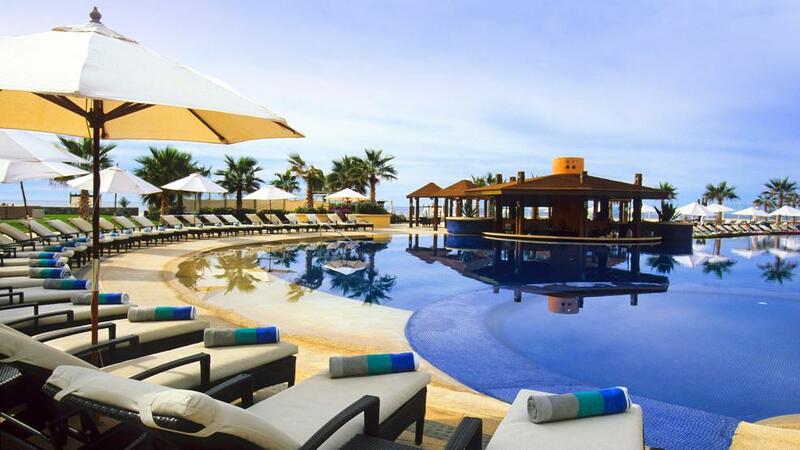 Marquis Los Cabos Resort & Spa The resort is all inclusive adults-only. Nestled down near the southern tip of the Baja peninsula, it’s where the desert meets the sea. 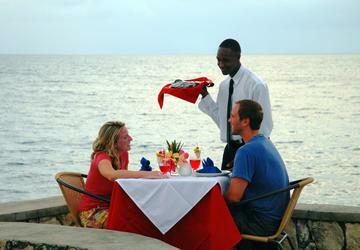 Enjoy meals and beverages from all of the five resort restaurants and two bars. And dining al fresco is always a treat. If you’re lucky you can be relaxing in a lounge chair and sipping a delicious frozen drink and catch a whale out in the water. Swim in one of the three beachfront infinity pools, head to the spa, and enjoy nightly shows and live music performances. 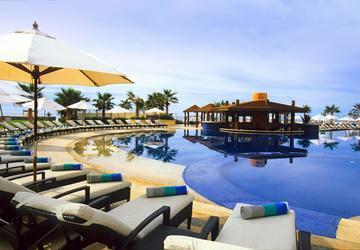 Pueblo Bonito Pacifica Golf & Spa Resort Cabo San Lucas This resort is beautifully appointed, elegant, and adults-only. Terraces offer garden or Pacific Ocean views. 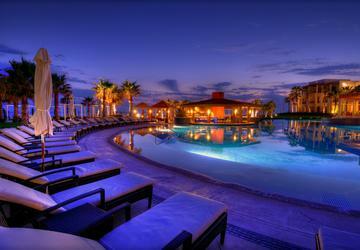 The resort offers five restaurants and four bars, tennis, wine tasting, oceanfront fitness center, and more. Be ready to be wowed by Quivira Golf course built on the tip of the Baja Peninsula. The location is a stunning ocean-desert-mountain setting. 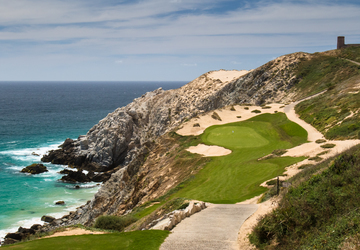 Quivira offers breathtaking drops from tee to fairway and panoramic views of the Pacific Ocean from every hole.